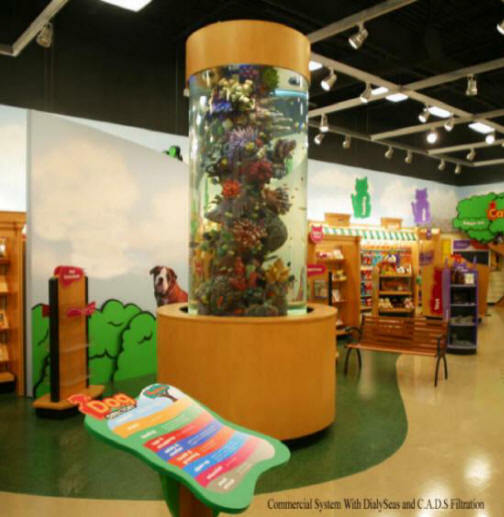 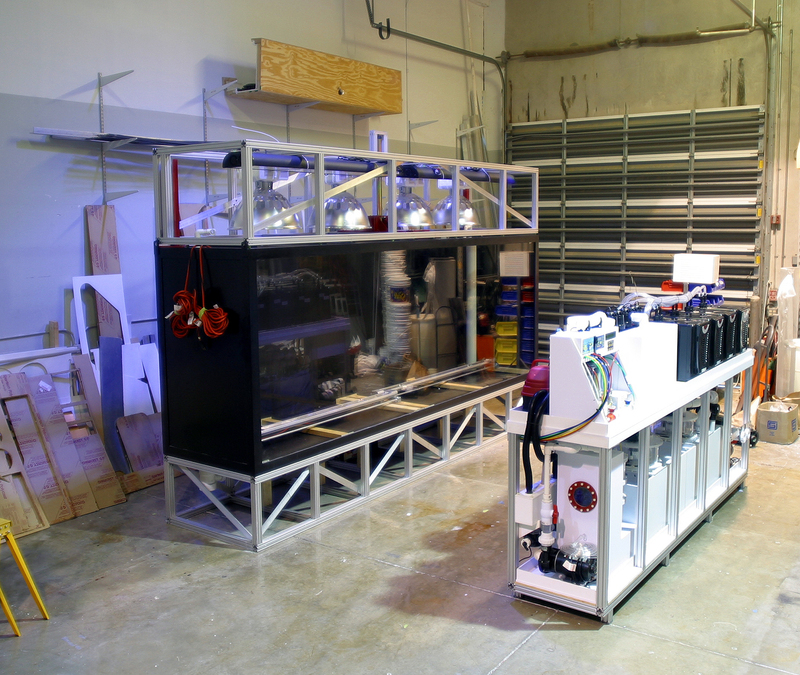 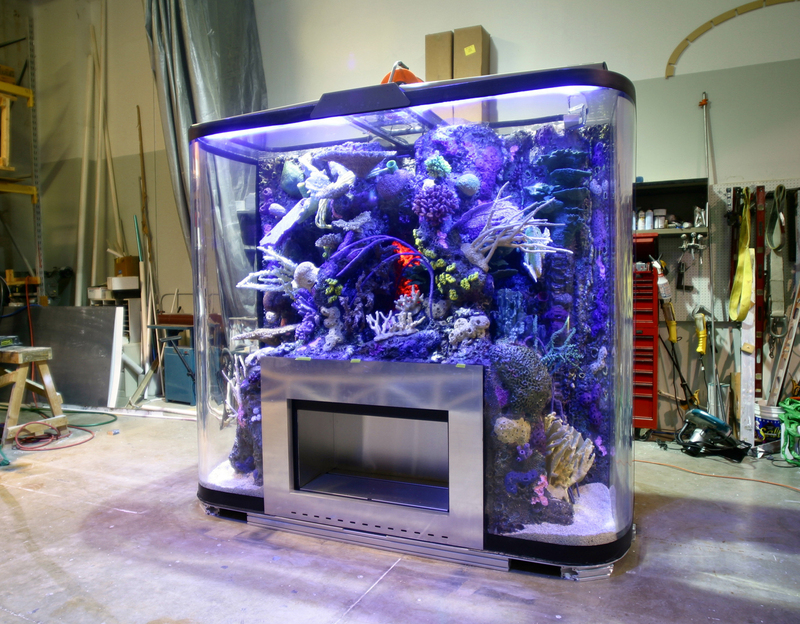 These are not your everyday aquariums, and we do not build novelty aquariums. 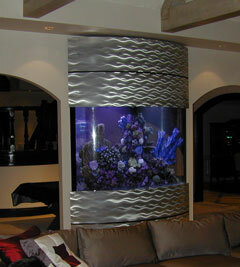 1200 Gallon With Integrated Working Fireplace, 8 feet water height. 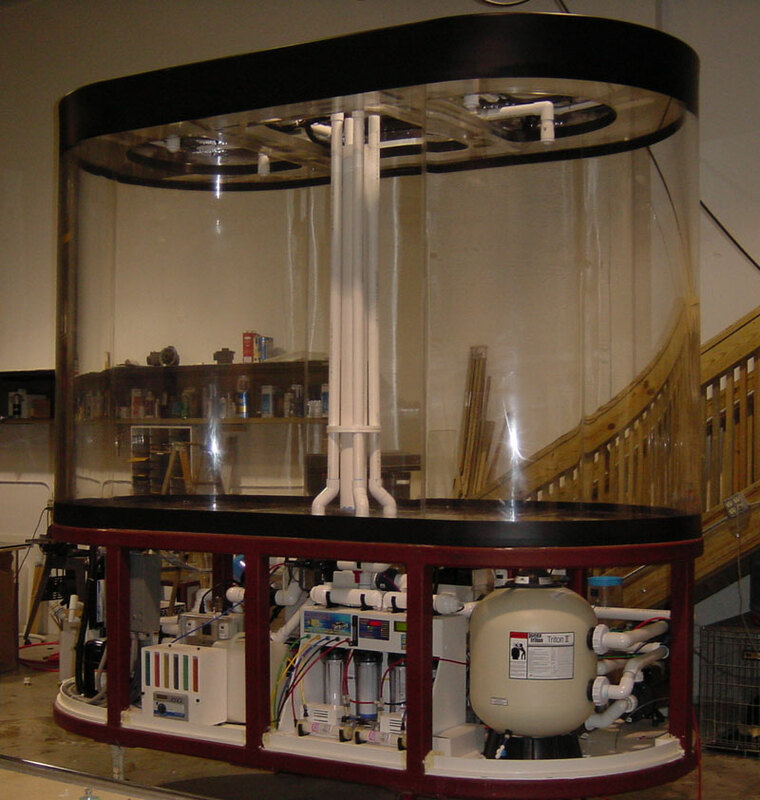 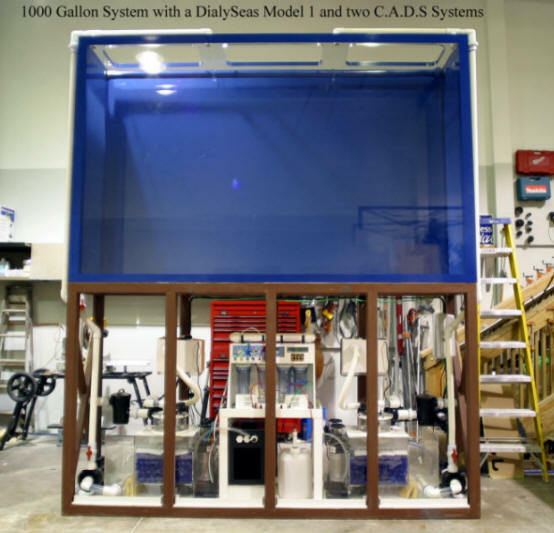 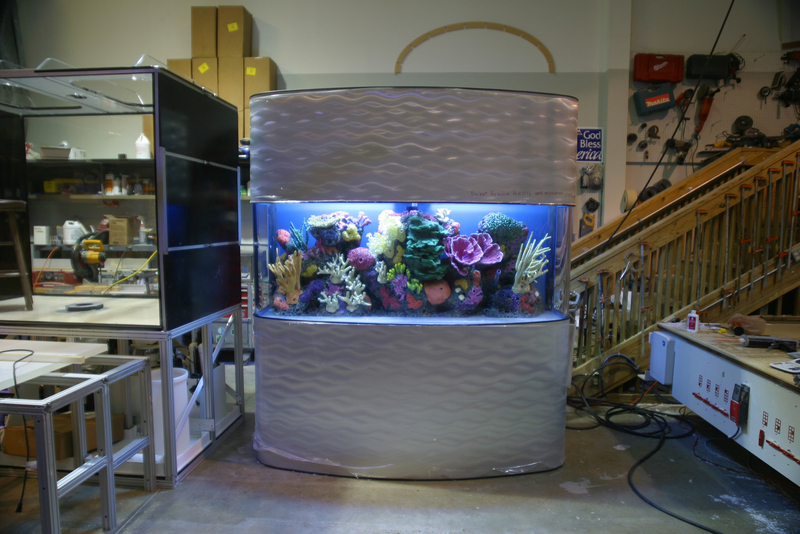 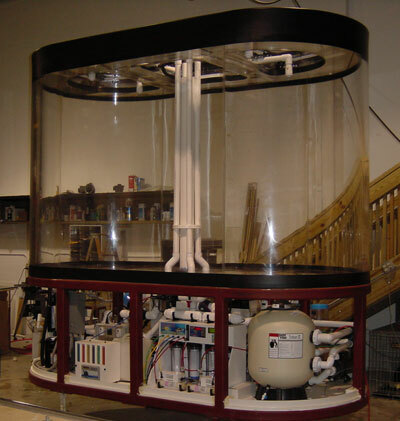 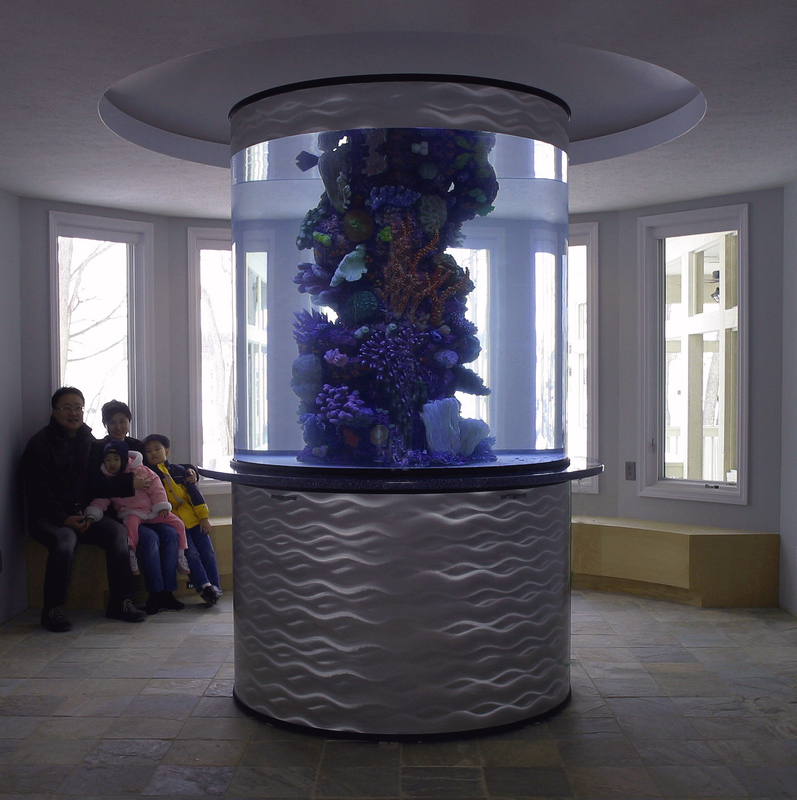 SeaVisions can make at our factory, cylinder aquariums up to 78" in diameter and up to 72" of water height yielding 1350 Gallons. 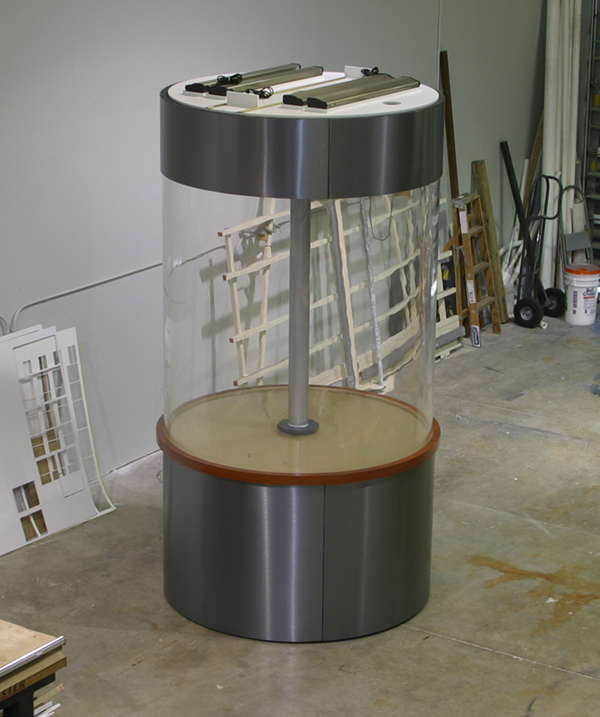 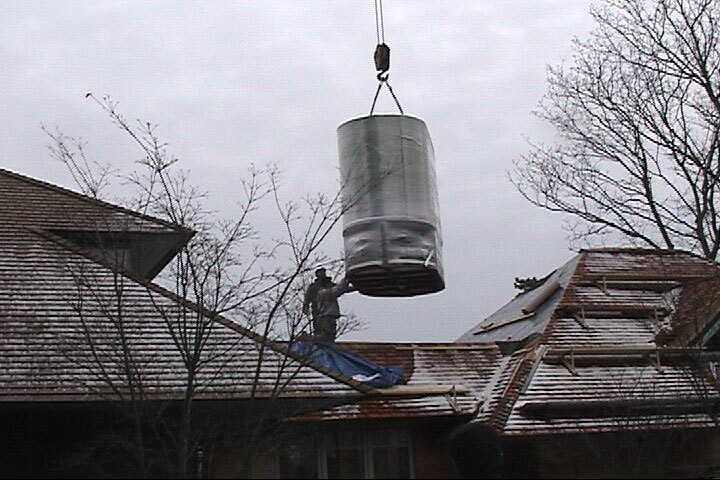 Or we can provide seamless cylinders up to 96" in diameter and 240" tall yielding 7420 Gallons. 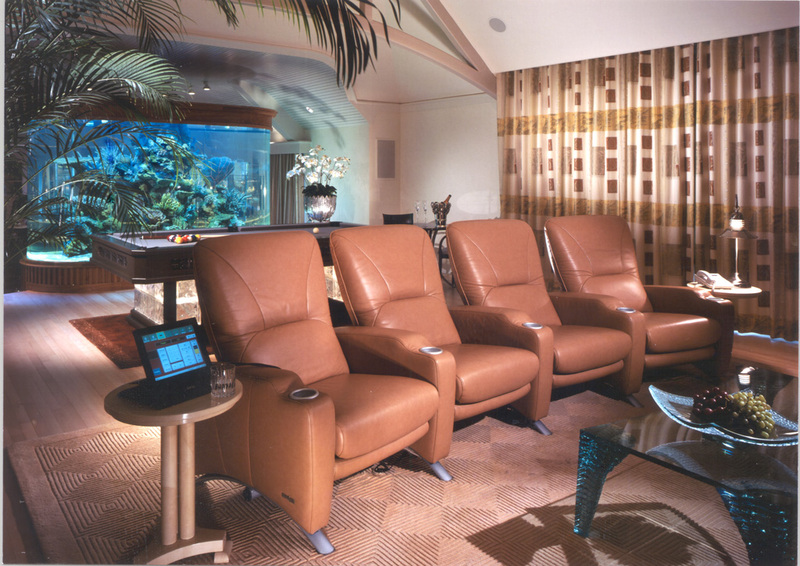 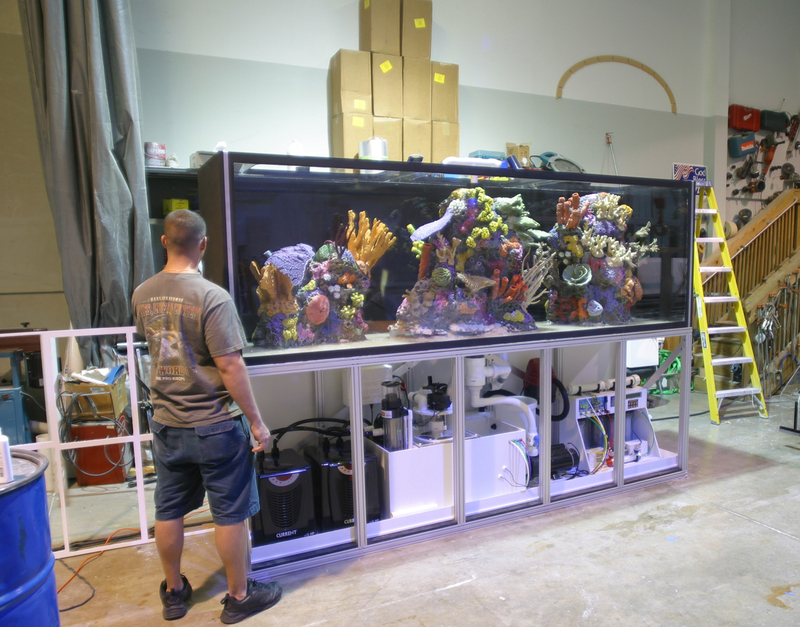 Established since 1981, SeaVisions has made a lasting impression in aquarium art and is unquestionably the leader of technological advances in aquarium manufacturing, filtration, and remote monitoring. 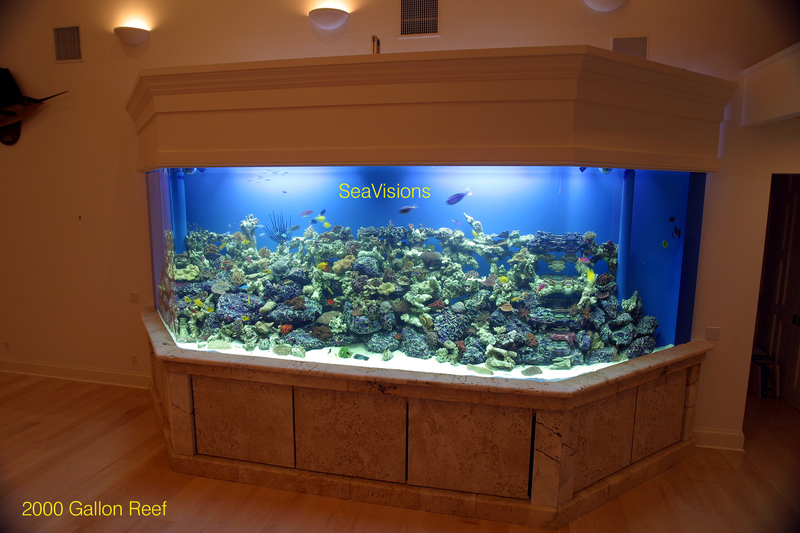 Only the finest aquariums in the world bear the SeaVisions name. 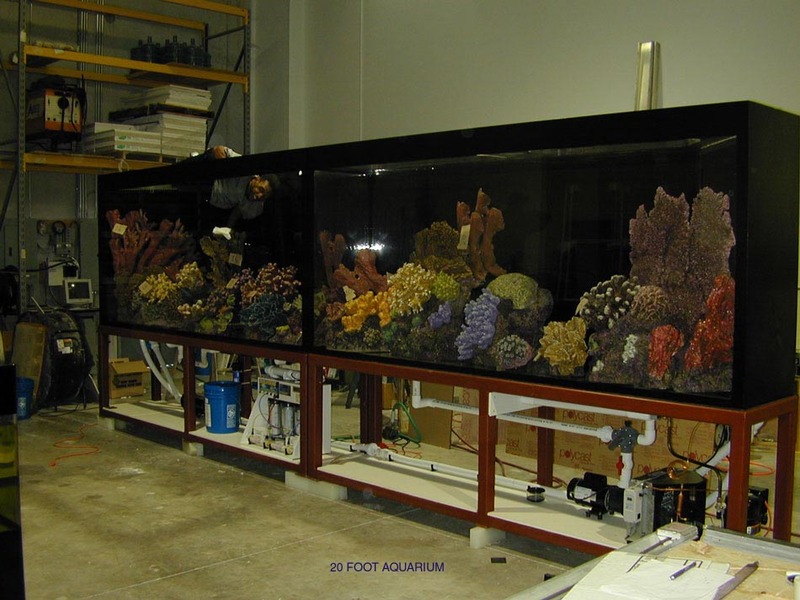 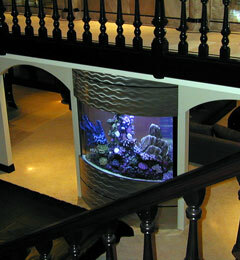 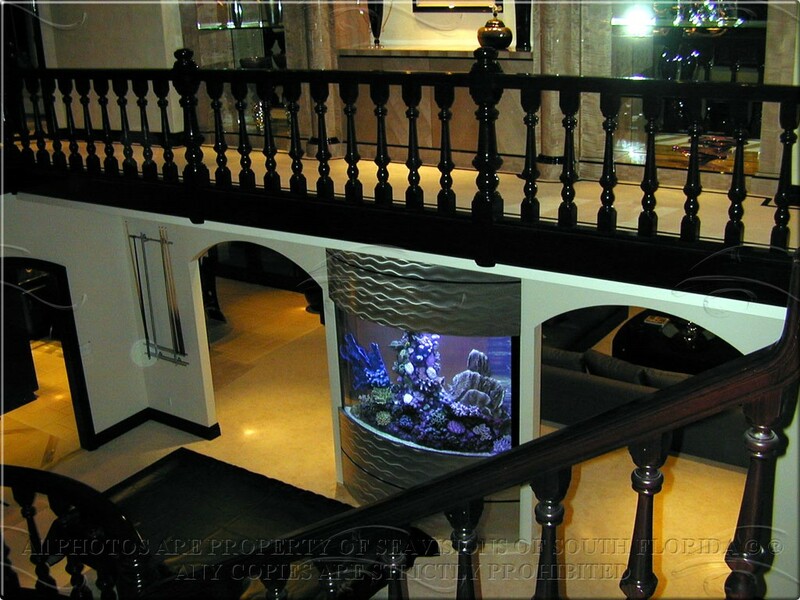 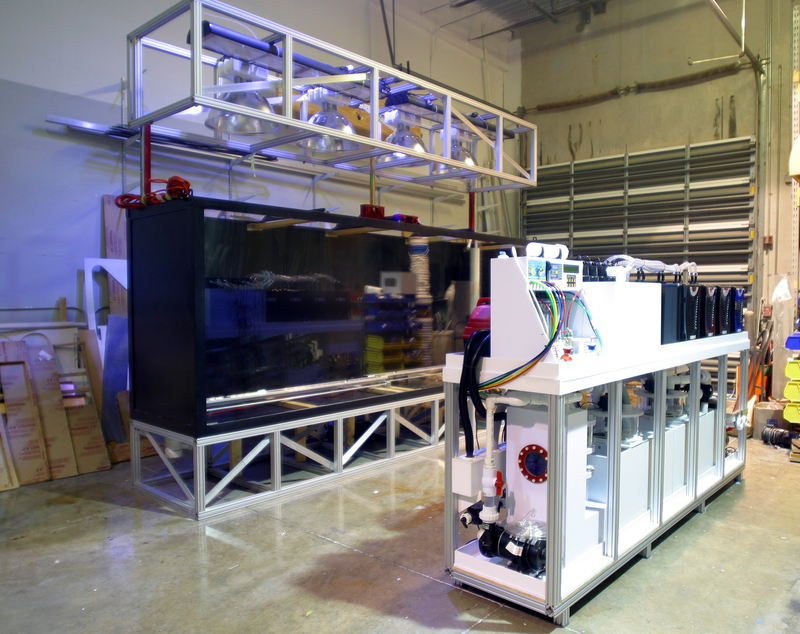 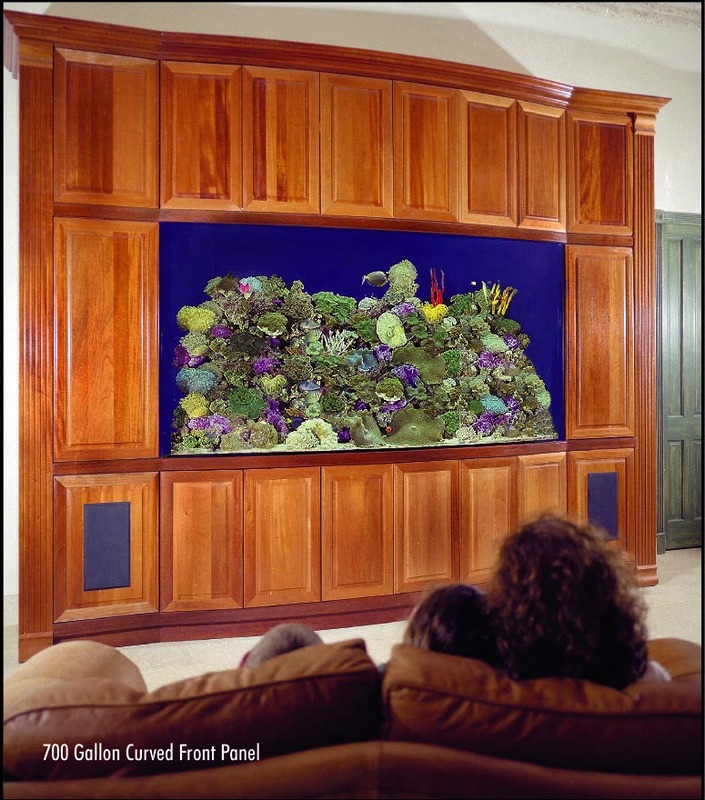 Our impeccable reputation, coupled with our patented filtration product line, unmatched aquarium environments, whether live reef or simulated reef, extensive knowledge and supply of exotic fish and corals is what has elevated SeaVisions to become the leader of high end custom aquarium manufacturing and distribution. 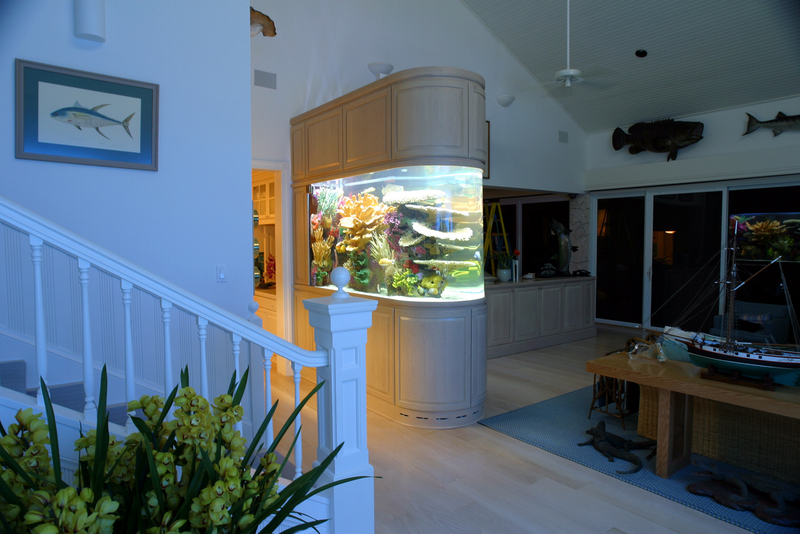 SeaVisions leads by example just look at our photo gallery, countless successful aquarium system installations over the past 24 years. 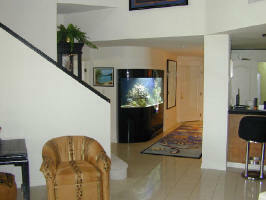 No other company even comes close just look for your self. 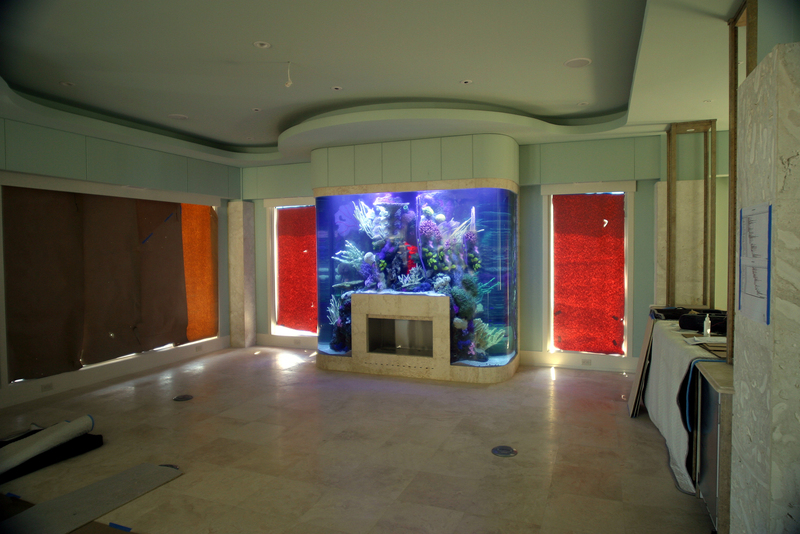 SeaVisions aquariums are custom-designed to capture and reflect the personality and style of both the client, as well as the setting. 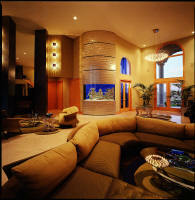 Following initial consultation, the design undergoes "System Finite Analysis" to insure precise structural requirements. 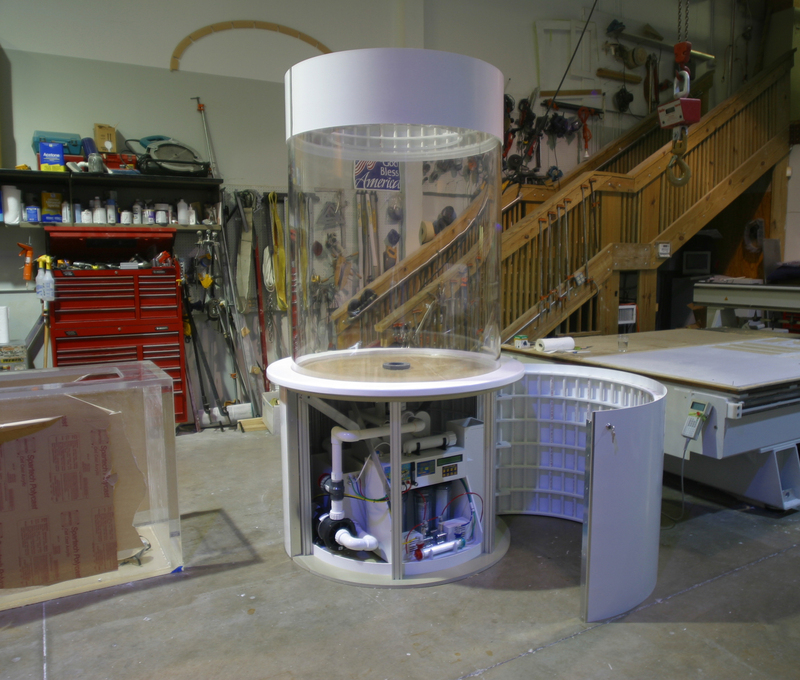 From CAD drawings, CNC machines allow the material to be cut to exact specification while walk-in ovens are used to bend and mold panels to any shape imaginable. 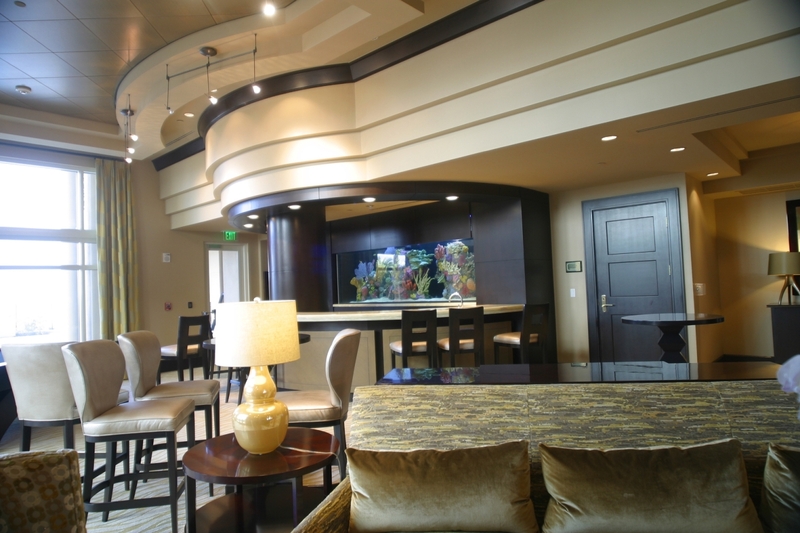 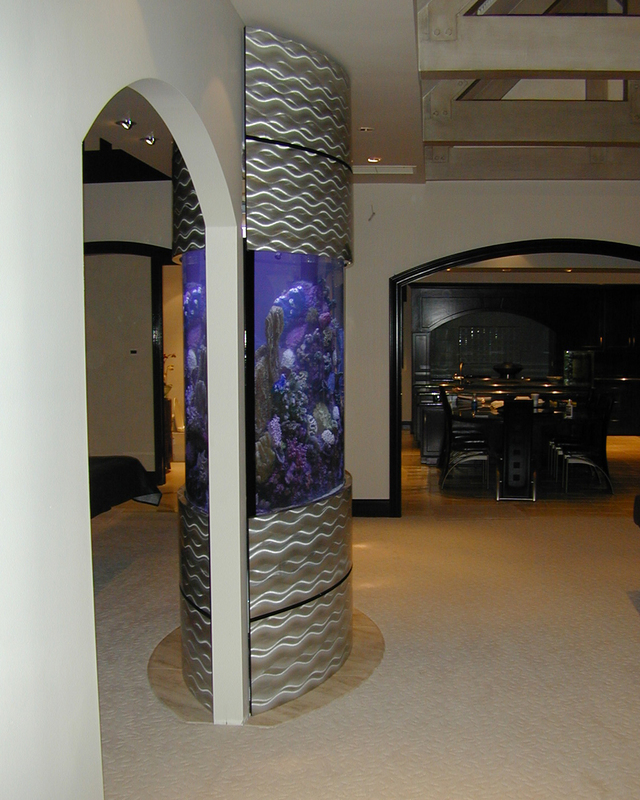 Exotic finishes are then applied for even the most scrupulous of clients. 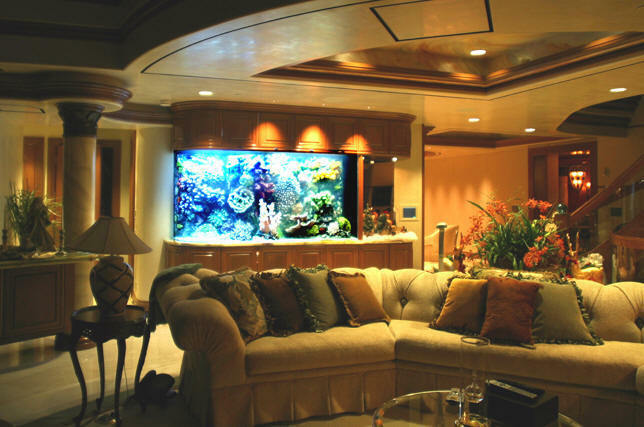 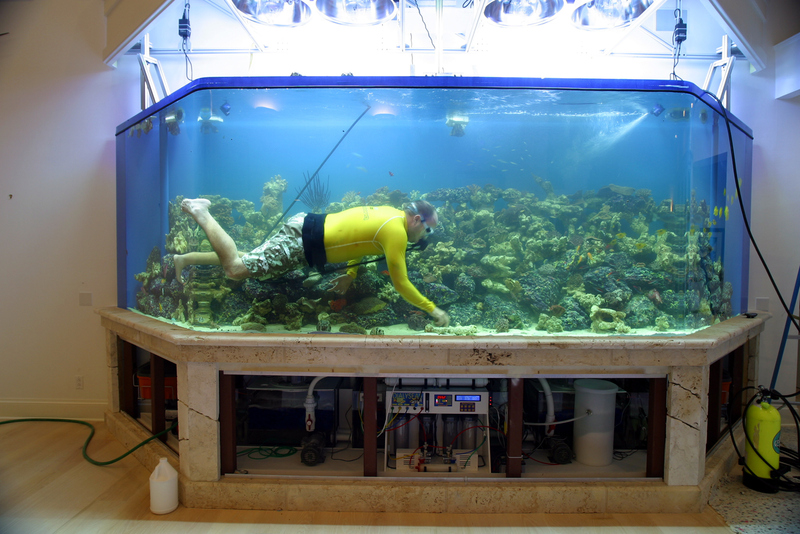 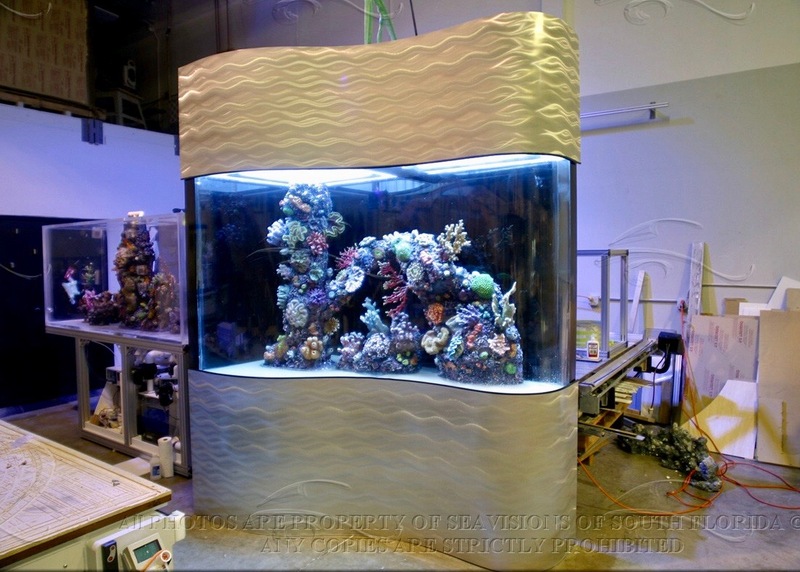 Whether a live reef is desired or one our custom made life like replicas, SeaVisions offers unprecedented quality and workmanship. 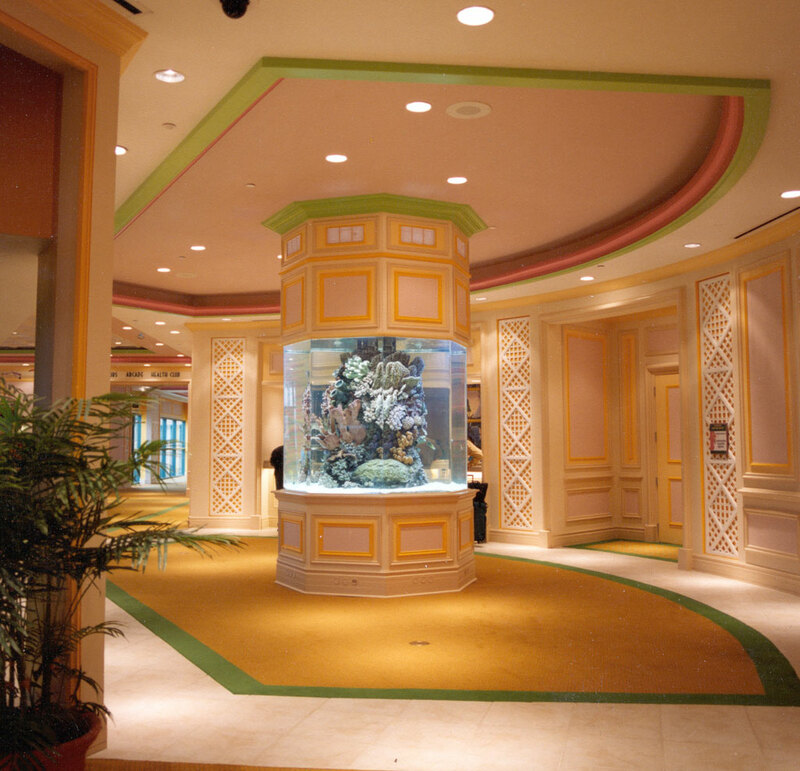 SeaVisions holds 10 U.S. Patents assuring unparalleled innovation both above and below the surface. 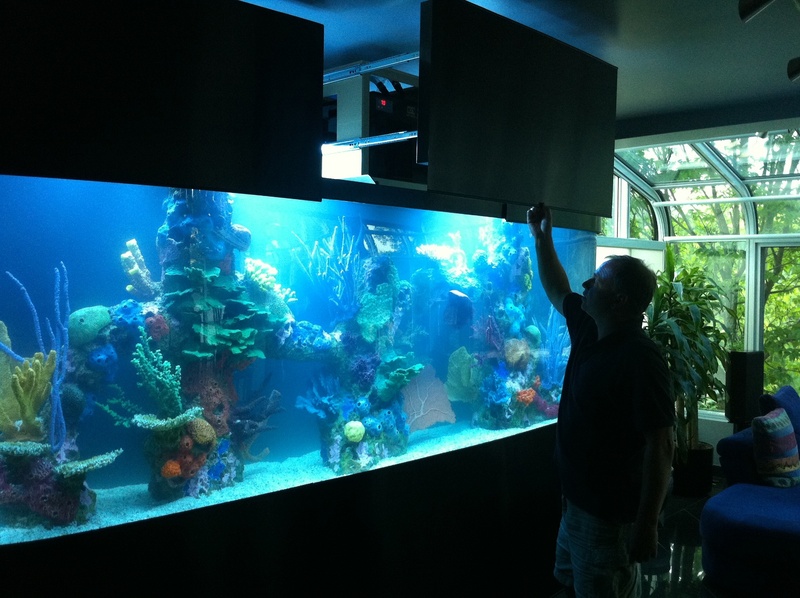 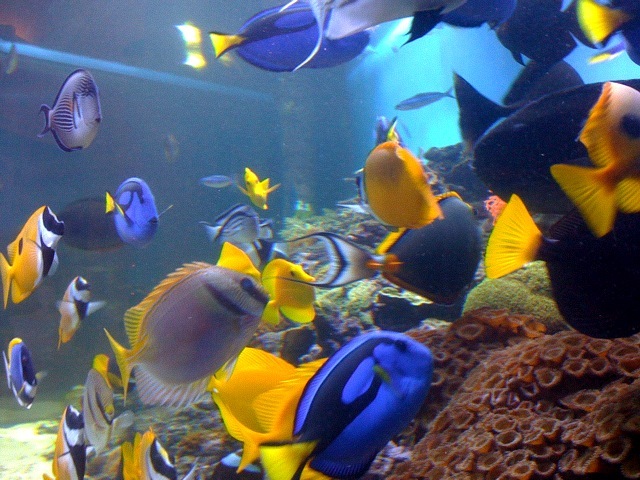 Each SeaVisions aquarium is designed as a complete turnkey system providing the lowest maintenance requirements of any other aquarium system in the industry. 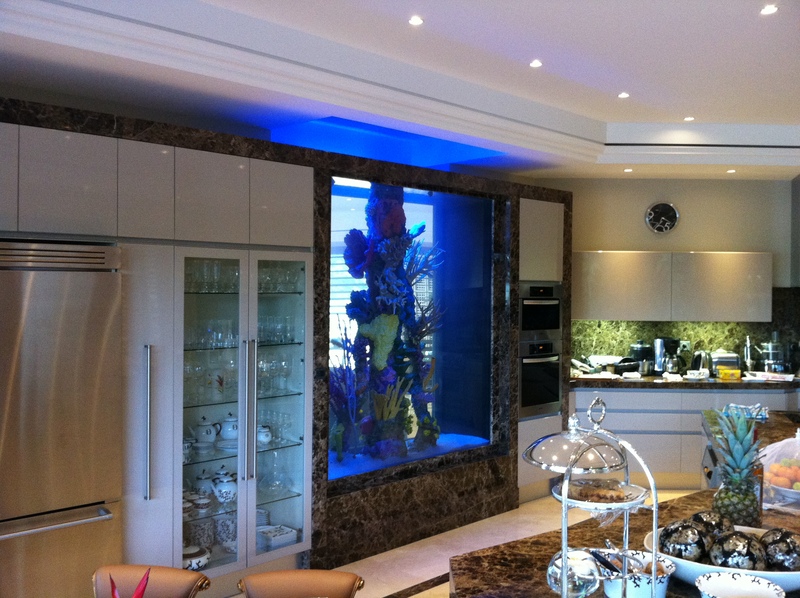 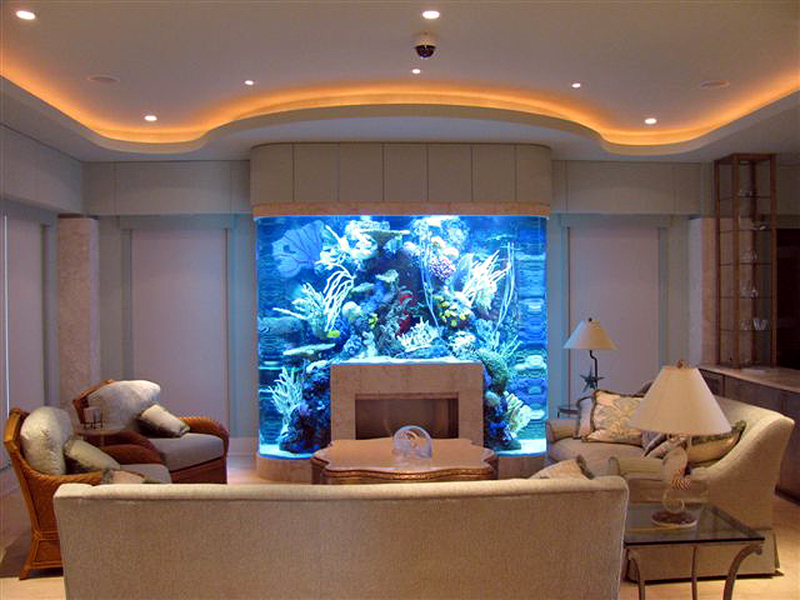 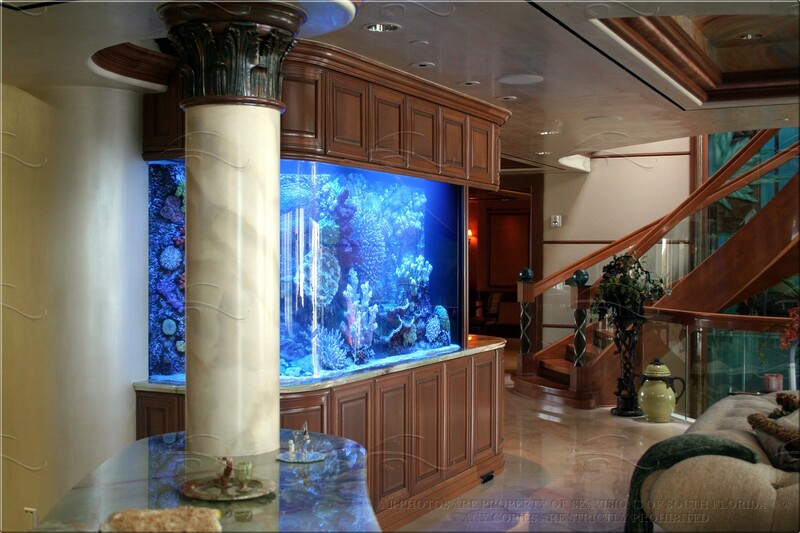 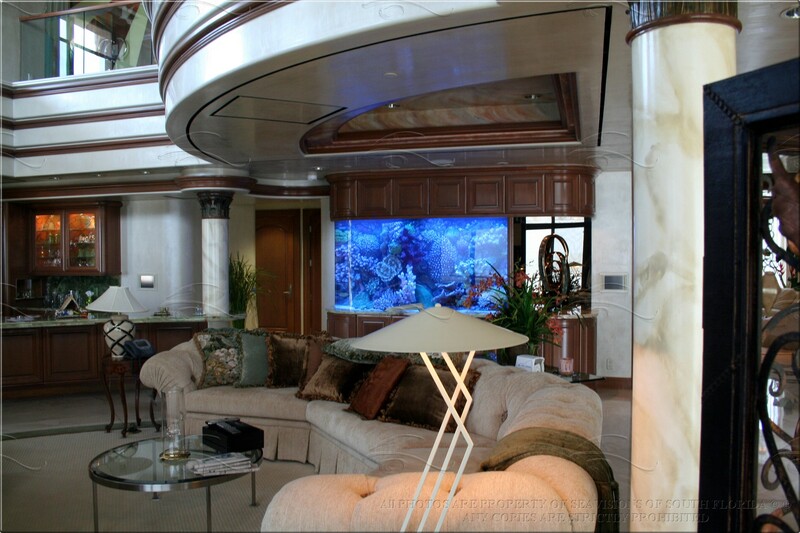 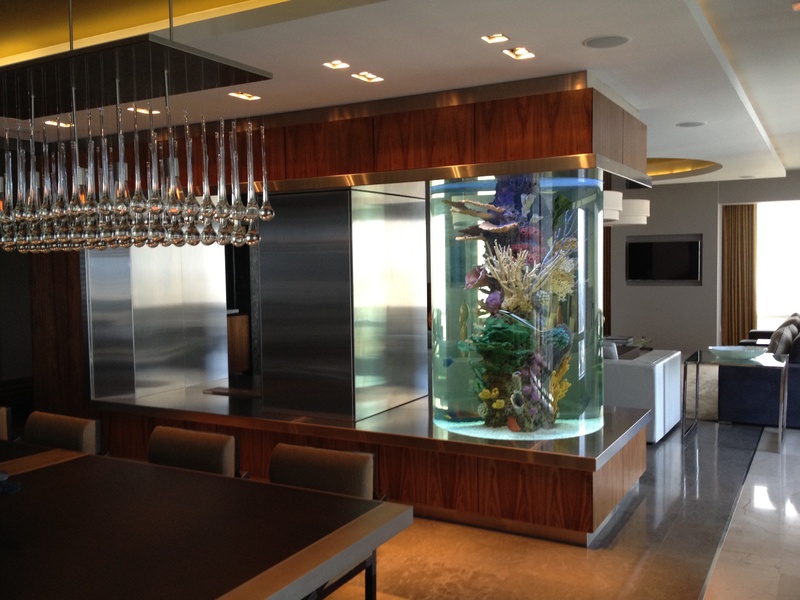 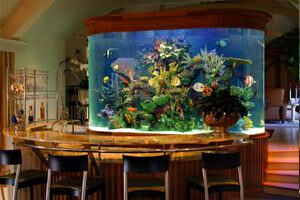 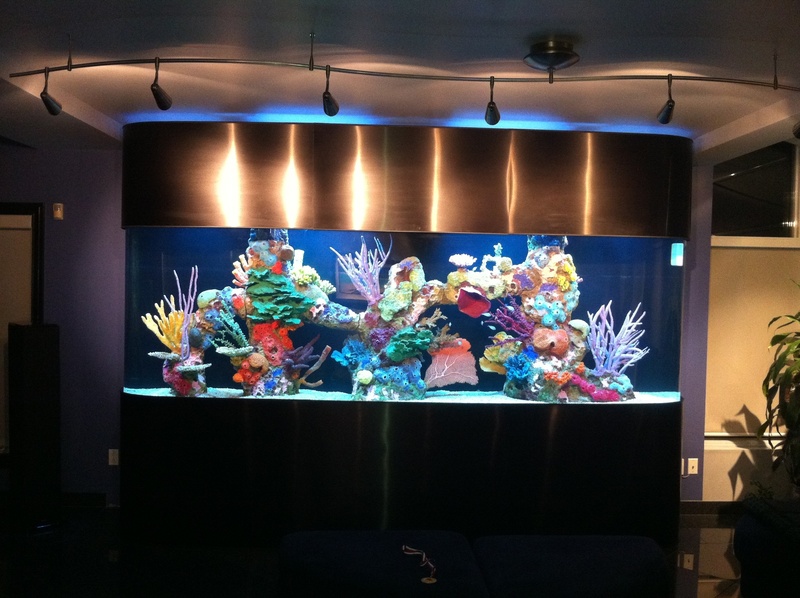 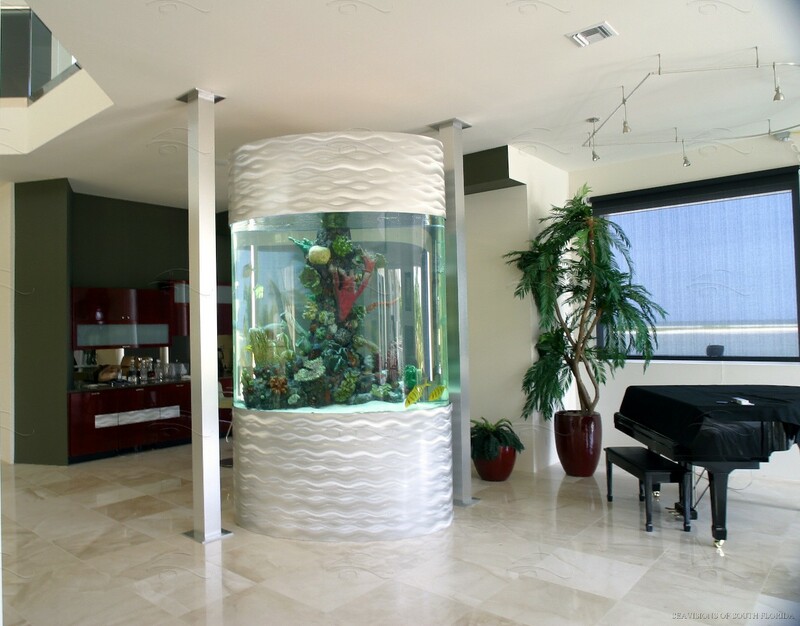 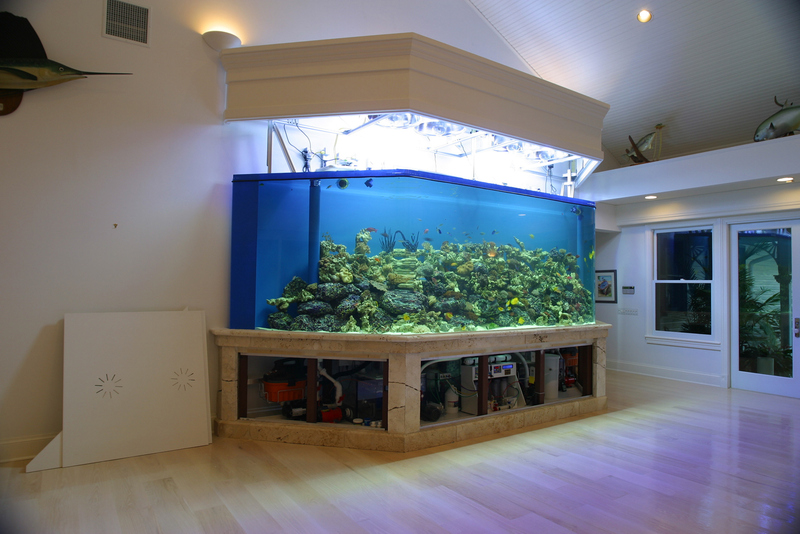 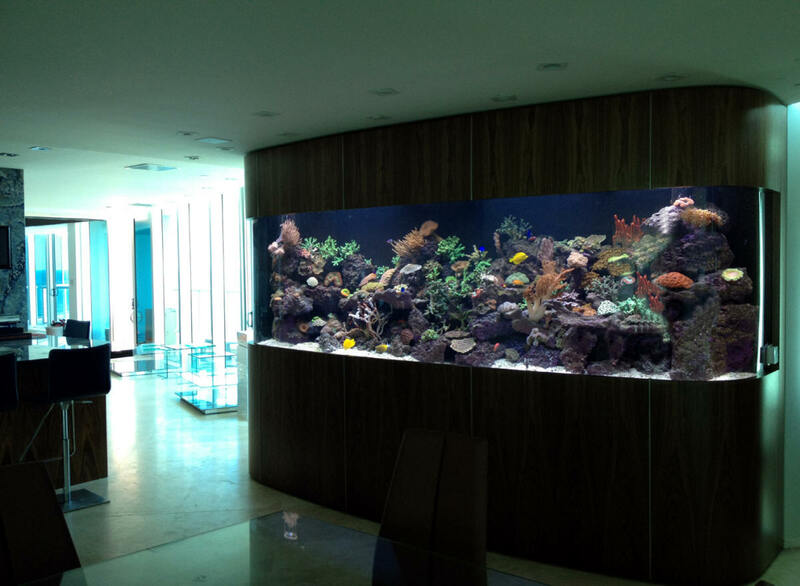 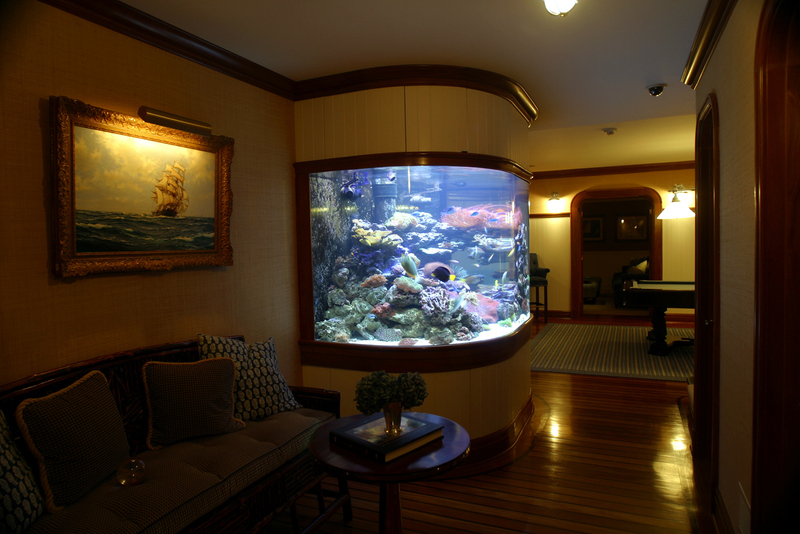 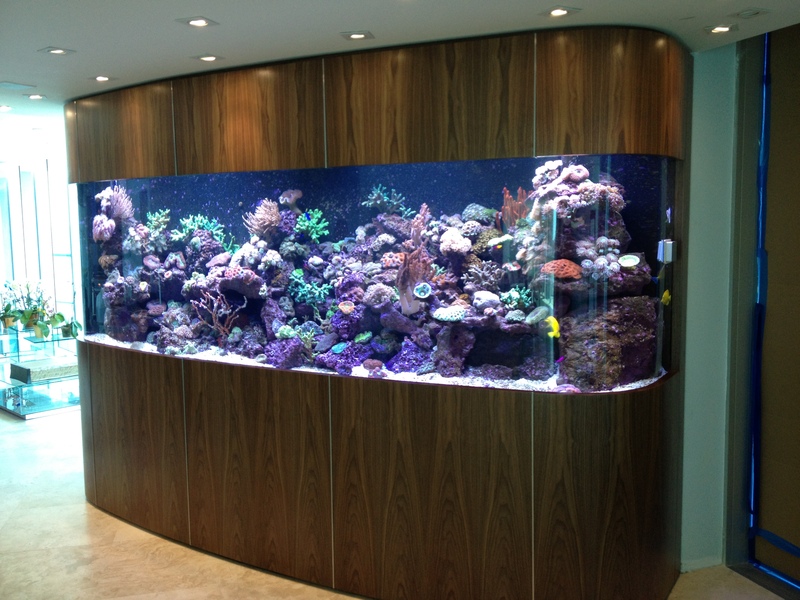 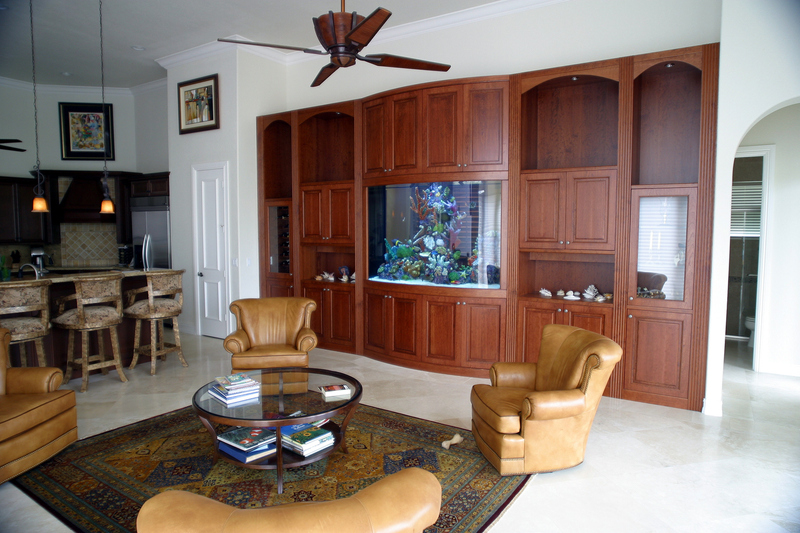 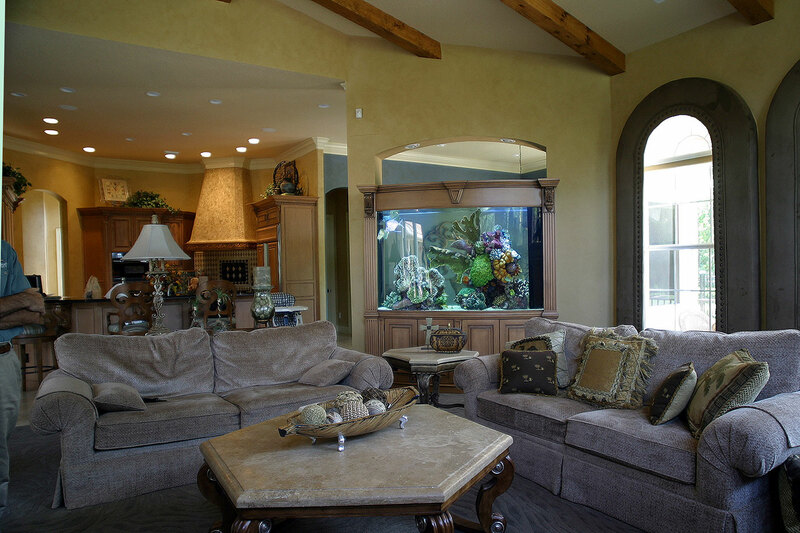 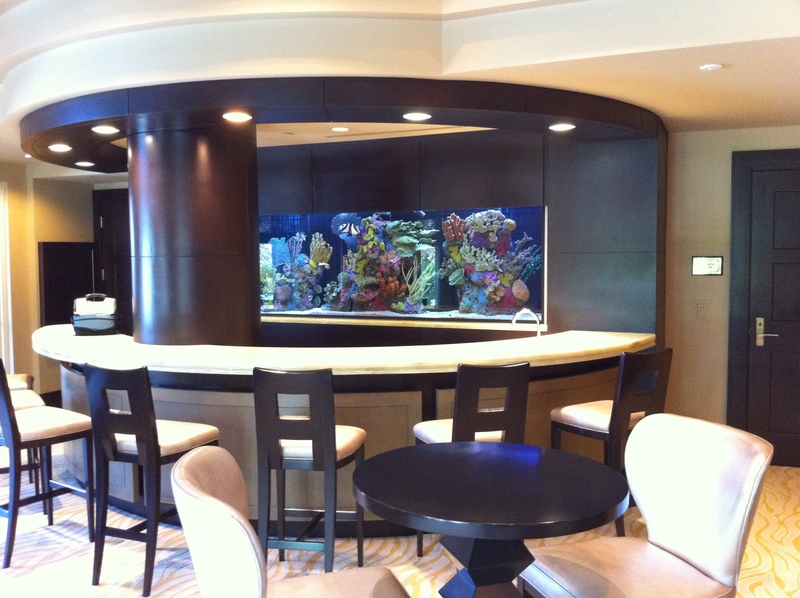 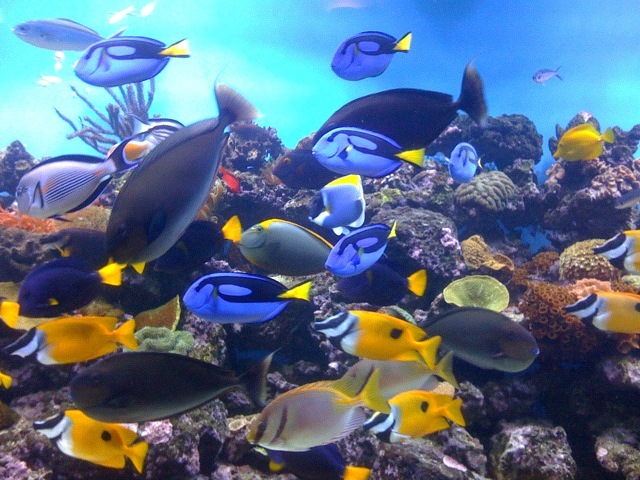 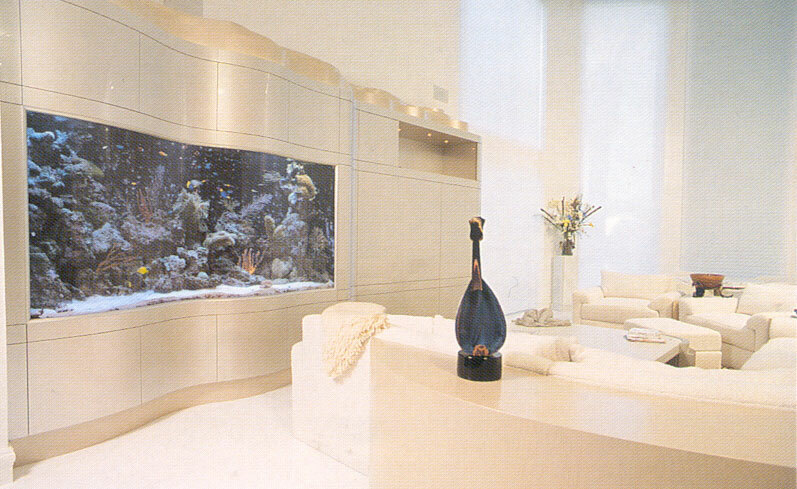 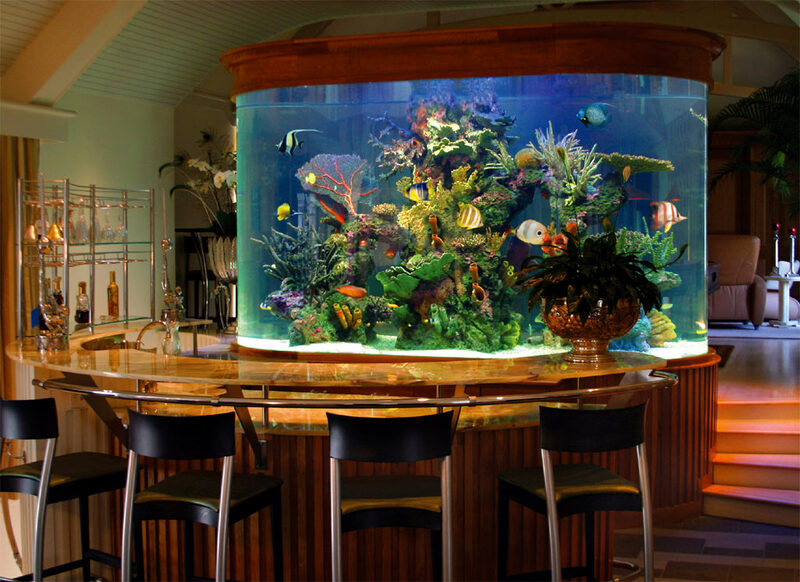 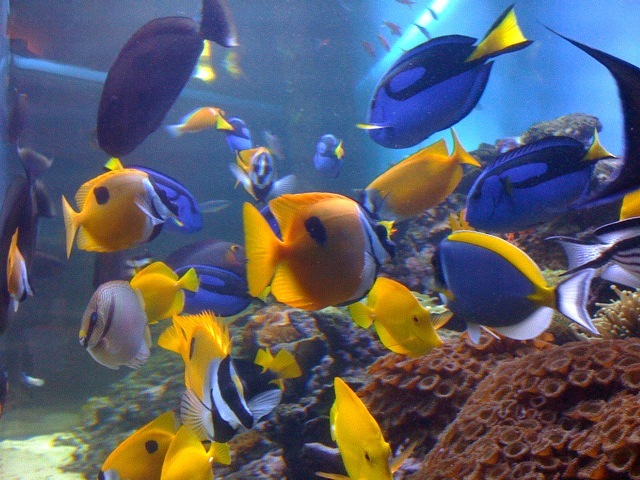 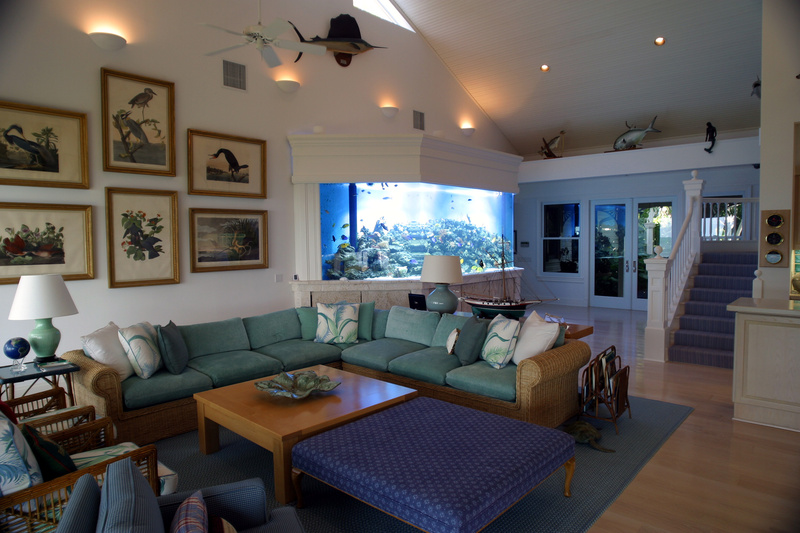 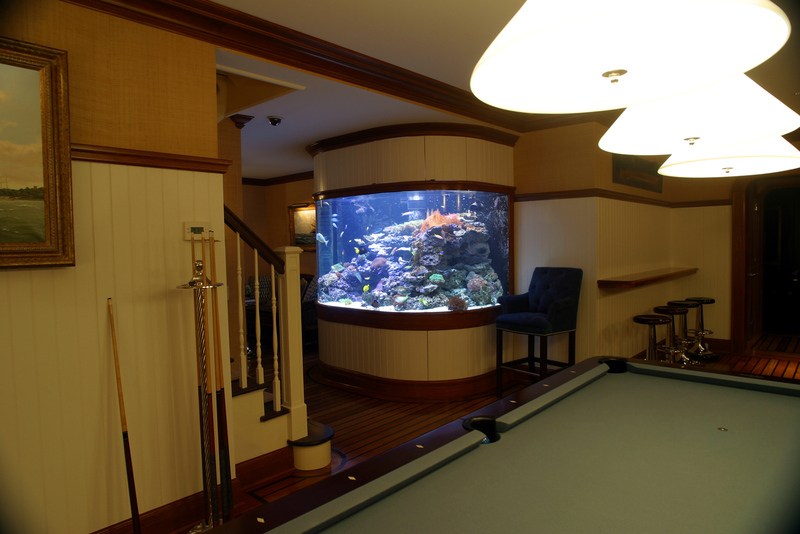 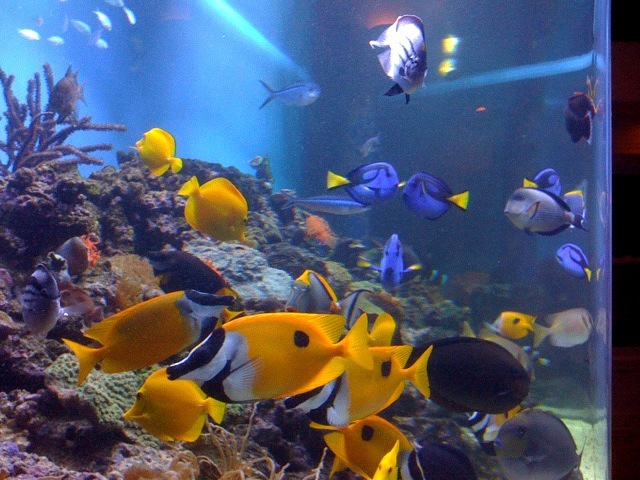 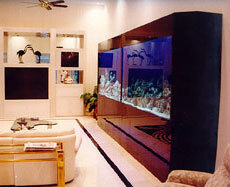 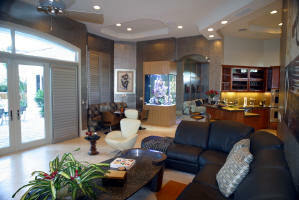 Make sure your investment in aquarium art is in a system designed by the "innovator" in the industry - SeaVisions. 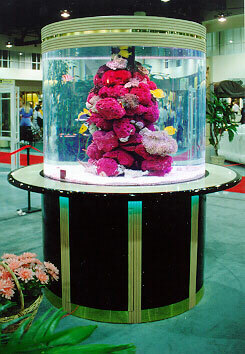 SeaVisions does not make cookie cuter, or novelty aquariums, and we do not normally sell the aquarium tank only. 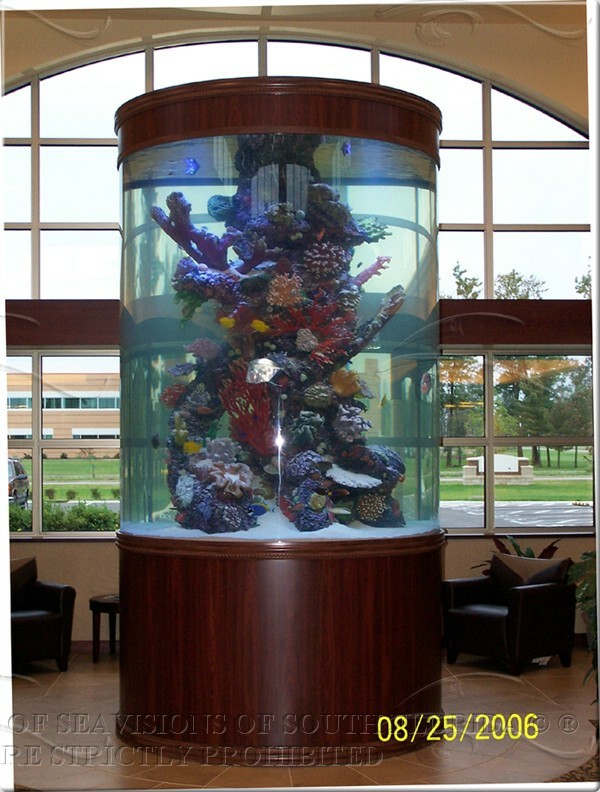 However if the aquarium tank is of unusual size or shape please send us a drawing and we will quote. 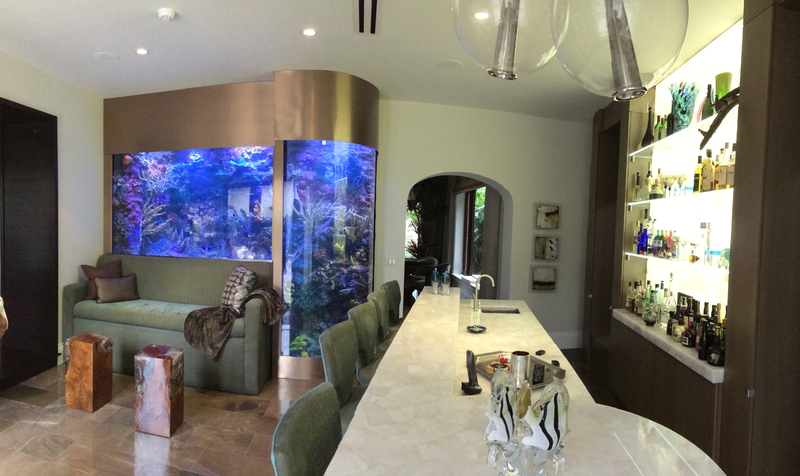 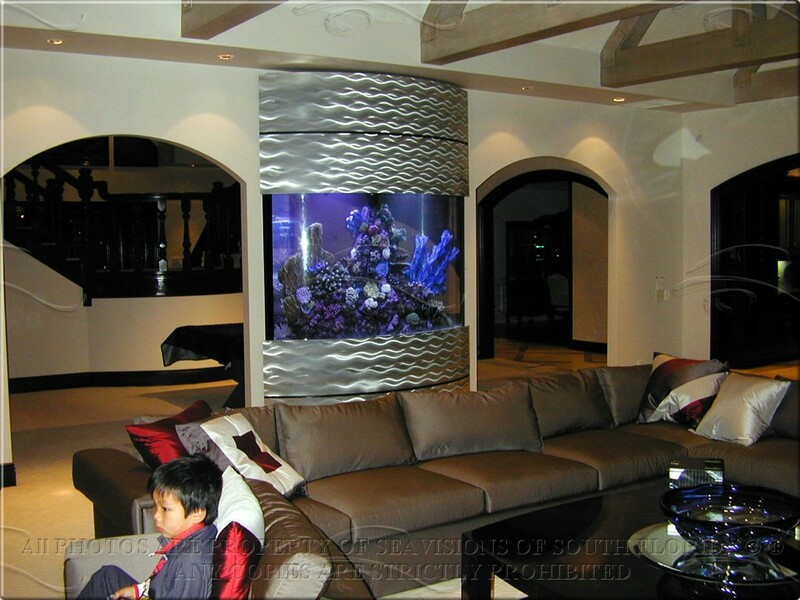 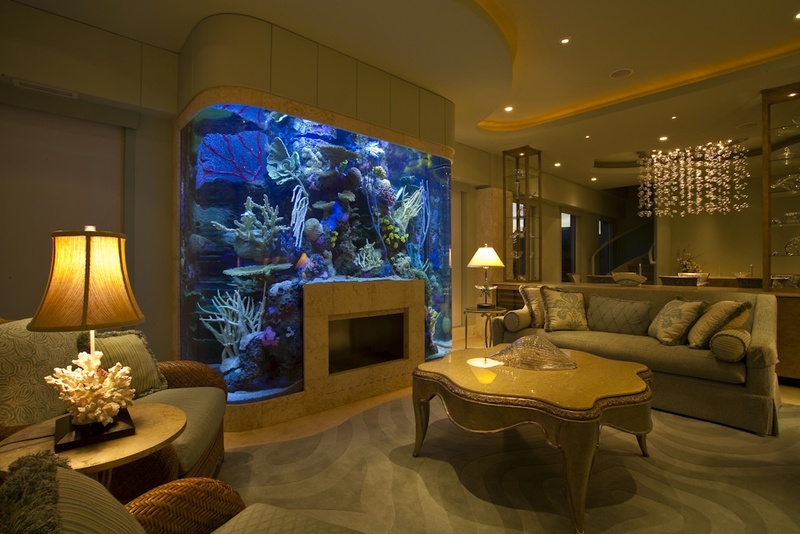 SEAVISIONS OF SOUTH FLORIDA, INC. (SVSF) receives hundreds of requests annually for proposals as regards to manufacture, installation, and maintenance of high end custom aquariums. 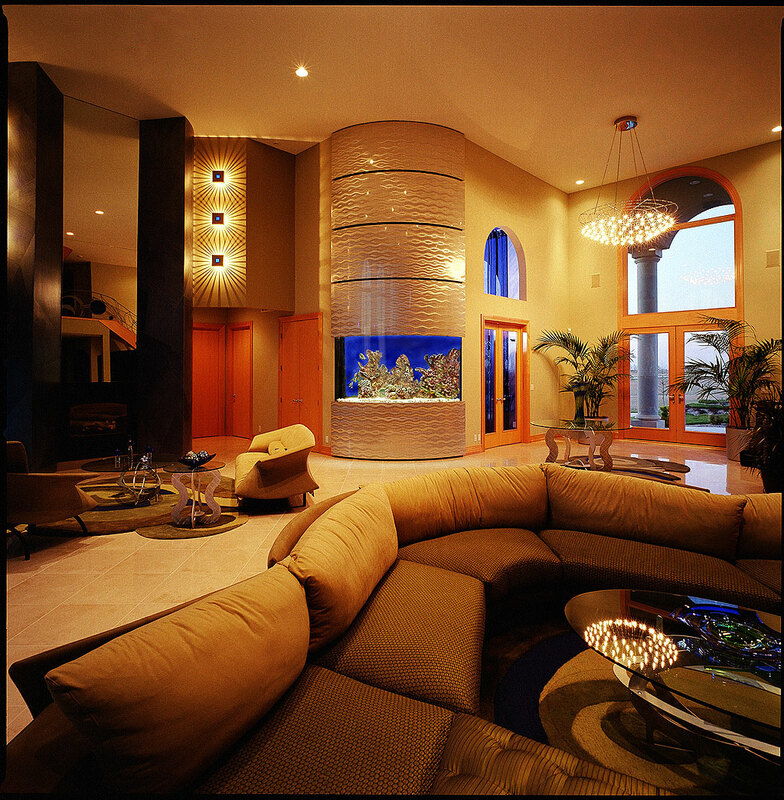 Because of the nature of SeaVisions of South Florida's custom designs, each proposal is both unique and specific to the particular application. 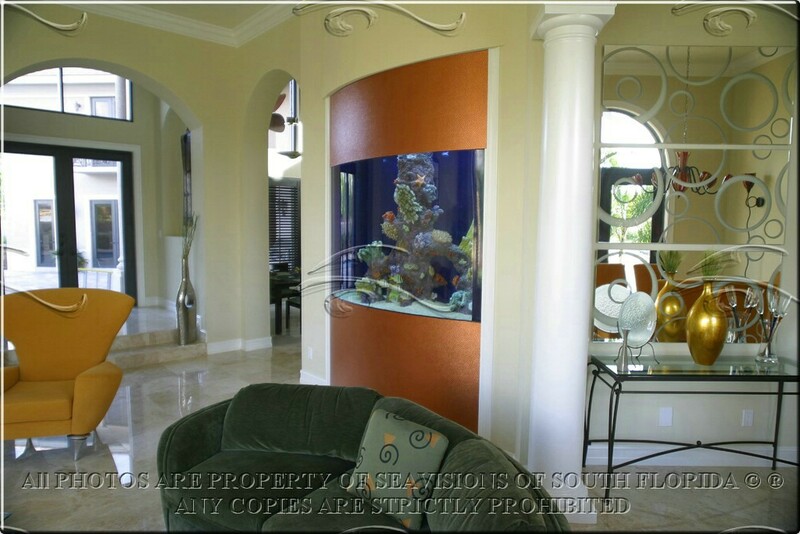 Each proposal requires an expenditure of between 2 and 8 hours depending on the specifics and substantial follow-up time with the prospective customer in detailing the proposal and the specifications being requested.